Netflix has introduced movie streaming to Sony's PS3, with US PS3 users getting the service as of November this year. The movie rental giant will provide PS3 users with a free Blu-ray providing them with all the necessary software to allow their console to access the service. A firmware update to the PS3 at some point in the future will update PlayStation 3s to also allow it to do the same. There will be no extra cost involved for Netflix subscribers to instantly stream movies from Netflix's extensive movie back catalogue, on top of what they already pay to access the service ($8.99 a month). 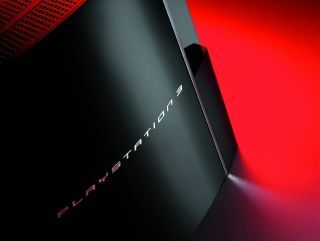 "While gaming is clearly our core DNA I think we felt very confident three years ago when we debuted PlayStation 3 that this was going to be a device that was going to mean much more than gaming," said Jack Tretton, chief exec of Sony Computer Entertainment America (SCEA). To access Netflix via your Xbox 360 requires US gamers to pay the $50 a year Xbox Live Gold membership to use it. The PS3 has an installed base of nearly 9 million units in the United States. Netflix has a subscriber base of 11.1 million in the US. Sony has been quick to celebrate the latest marriage of "two of the most popular and fastest growing home entertainment brands in the U.S."
The PS3 was the top-selling games console in the United States for the first time since it launched back in 2006, according to NPD, following the recent price cuts and announcement of PS3 Slim. No word as yet on Sony Computer Entertainment Europe's own plans for a similar style movie streaming service in the UK and Europe.